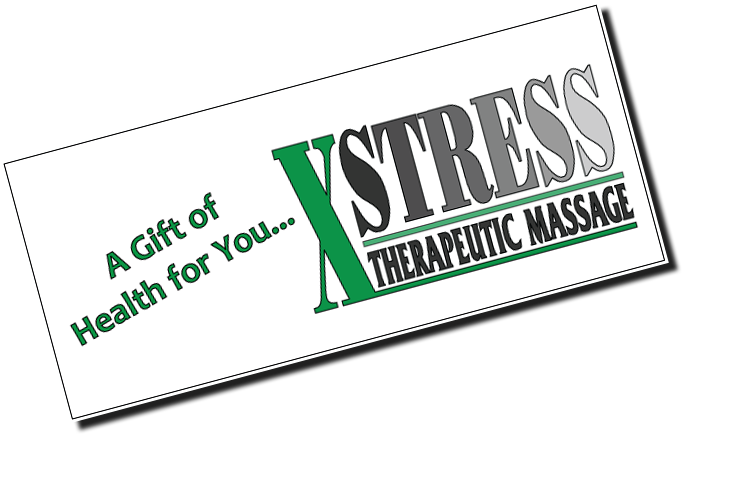 Xstress Therapeutic Massage was founded in 1992 by Kathleen Pann. Kathy is a Board Certified Massage Therapist with the National Certification Board for Massage Therapists and Body Workers (NCBTMB). Kathy is Licensed by the State of Wisconsin for Therapeutic Massage. (WI Lic.#1628-146). Kathy is also a professional member of the American Massage Therapy Association. Give the Gift of Health!!! "I have received massages from Kathy at Xstress Therapeutic Massage for over 10 years. She has significantly helped to keep my fibromyalgia and TMJ pain under control. Her knowledge and expertise help ensure quality treatment." Chair Massage: This type of massage is administered while the client is seated in a specially-designed chair, which usually slopes forward to allow access to the large muscles of the back. For relaxation and stress. Deep Tissue Massage: Focuses on the deeper layers of muscle tissue to release chronic patterns of tension in the body, using slow strokes and deep finger pressure on contracted areas, either following or going across the grains of muscles, tendons and fascia. Myofascial Release: A form of manipulative bodywork that seeks to rebalance the body by releasing tension in the fascia (connective tissue). It uses long, stretching strokes to release muscle tension. Practices John Barnes' technique. Pregnancy Massage: focuses on the mother-to-be as she goes through changes due to pregnancy. Enhances the function of muscles and joints, improves circulation and general body tone, and relieves mental and physical fatigue. Swedish Massage: A system of long strokes, kneading, and friction techniques applied to the more superficial layers of muscles, combined with active and passive movements of the joins. Good for easing sore joints and muscles, and for tension release. Pressure Point Therapy: This technique applies concentrated finger pressure to trigger points (painful, irritated areas in muscle) to break cycles of spasm and pain. Helpful for chronic muscle pain. I would recommend Kathy to anyone in pain. My job is still a pain, but Kathy took the pain out of my job!" - Brian B. "I sit at my desk for several hours a day at my job. This was causing me to have terrible pain in my neck and shoulders. My left arm would frequently go numb and ache while working and driving. But then a friend recommended Kathy at Xstress Therapeutic Massage. I was rather reluctant at first, because I had never been to a masseuse. However, after my initial consultation, I could tell that Kathy was serious about trying to reduce or eliminate my pain. After asking about my neck, shoulder, and arm pain, Kathy asked about my job and the position of my computer monitor and television at home. 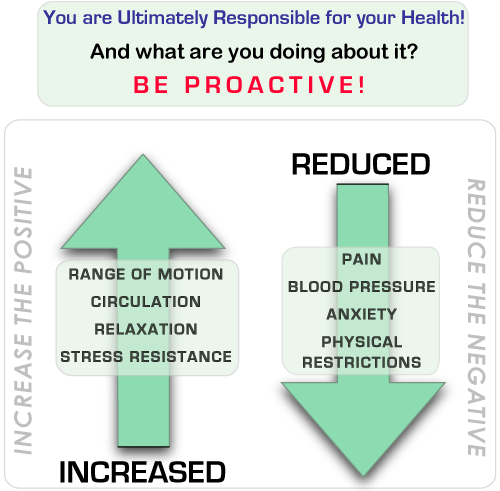 She explained that sitting at a computer keyboard for extended periods was causing the muscles in my chest to contract, which was pulling my shoulders forward, and as a result the muscles in my neck were being overworked. After targeted massage, Kathy taught me stretches for my shoulders and chest, and then told me to move my television to a position directly in front of my couch, so my neck was not at a constant angle while watching. Sounds simple, but it worked! "I first came to Kathy Pann's Xstress Therapeutic Massage in 2006 after I injured my right sciatic nerve. The injury caused significant and constant pain from my lower back down through my buttock, thigh, calf and foot all the way to the tip of my little toe. And, because my torso leaned away from the pain when I walked or stood or sat, my upper back muscles were also stressed, tight, and sore. I even hurt lying down and wasn't wure if I could stay on the massage table long enough to have a massage. And I wondered if the massage itself might be painful. But Kathy worked with me and addressed my concerns. She modified the table so I could like more comfortably and massaged gently on my really sore spots, often asking me if the pressure was "too much." My nerve gradually healed over the next 2 years, but during that time I really needed relief from the pain and muscle soreness. Kathy's massages helped...a lot. After my sciatic nerve was better, I continued to see kathy for massages of my head, neck, and shoulders because I also have chronic headaches (migraine with a strong muscle tension component). "Having lost my job during the early 90's recesssion and being unable to find a new one, I started a carpet cleaning business. This was too hard of work for a middle-aged person to begin, and several years of it left me with very limited mobility in my neck. Some of it was due to arthritis, but a lot of it was just muscular. After 5-6 sessions with Kathy, I noticed a definite improvement. Those first sessions were not always pleasant, as the necessary massage was uncomfortable. Now I go to Kathy on a monthly basis, just to avoid those painful sessions, and to keep my neck as flexible as it can possibly be. PS - I am no longer cleaning carpets. I now look forward to the massage sessions. Kudos to Kathy!" You can purchase a specific session (example: 1 hour for $65) or any amount to be applied to a session of the recipients choice (example: $20). Gift Certificates include a peel off business card that your special someone can use to record their appointment when they call to schedule their session. Call to Purchase a Gift Certificate Today!